As you may or may not already know, the COLOR VISUALIZER is designed to help plan the color scheme for a Cleary building. The COLOR VISUALIZER is a critical tool which is often used as one of the first steps for our Clients in their decision-making process. So, what’s new with the COLOR VISUALIZER? The COLOR VISUALIZER is now mobile-ready and can be used with devices including current versions of Internet Explorer, Google Chrome, Safari; Android and iOS tablets; and Android and iOS phones. 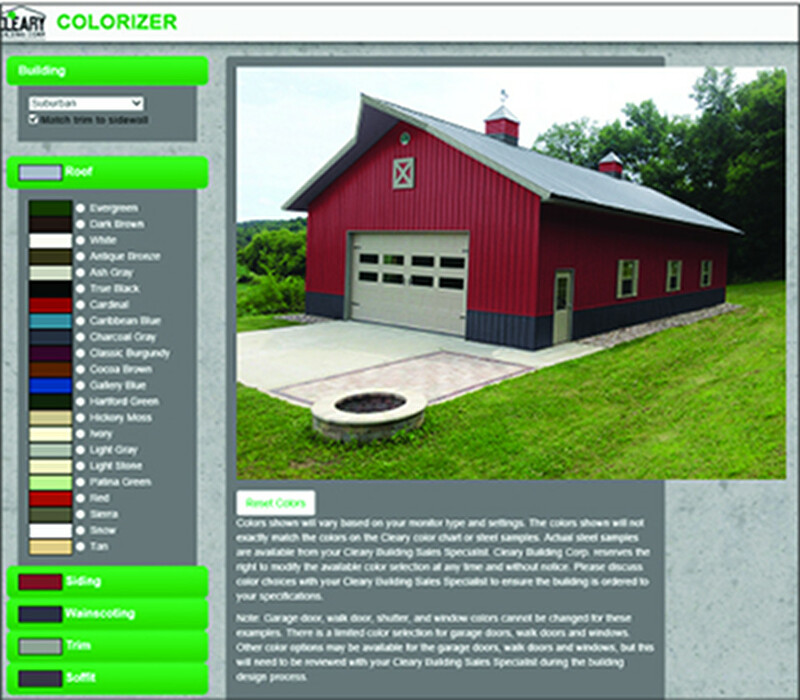 Featuring a wide selection of color options, the COLOR VISUALIZER allows website visitors to change out the color of the building roof, siding, wainscoting, trim, and soffit. Building categories include Suburban, Commercial, Horse, Livestock, Residential, Machinery, Park Shelters and Mini Storage. Make sure to pass along the news of the new and improved COLOR VISUALIZER to your friends, family and anyone you think might be interested in a Cleary building.